Very frustrating day. Got phone back from Shaun @aegisdesign who’d done a flash reset thing to get “conversations” working right. The basic email client doesn’t mark replied messages as replied on IMAP, and I can’t seem to get Nokia messaging installed. I just spent 5mins with my son’s iPod touch setting up a mail account on there to make sure I wasn’t going mad, and the whole thing feels so much nicer than the N900, I’m feeling a bit stupid so far. Was actually sat playing Mahjong and Tetris on the N900 this evening, and that’s about as good as it got. I love my Macbook Pro. I use it a lot. But I’m not always in. 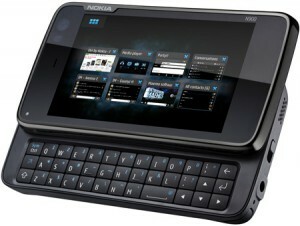 For a phone, I’ve got a Nokia E71, which I love for several reasons, and hate for quite a few too. As much as an apple fan as I am (nothing but Macs for the last fifteen years) an iphone doesn’t appeal as until recently, it wouldn’t let me run Skype in background mode, essential for me when I’m talking to Taiwan, lots, every day. There’s also that stubborn refusal to move to an iphone – flawed logic of course, but it’s sometimes nice to be different on purpose, because it just makes you think a little, and pushes people around a bit. Anyhow. So – a few weeks ago, I thought my E71 contract was up, right about the time the iphone4 came out. And as much as I had that new-tech craving, digging hard, the iOS4 background thing, Skype not doing it right then, I got looking at other options. And the Nokia N900 sort of leapt out. It’s a mad sort of mini computer with Skype built into the OS. But wierd. I was warned off just dropping money on one, until Iain at http://doitdifferent.wordpress.com/, told me via Twitter about WomWorld – a Nokia project where they let you trial phones and report and give feedback and stuff. I filled in the form asking to be considered for a trial, and left it. Iain is clearly crackers. He got an N900 phone on trial from Womworld and used it to fly a model helicopter. The people at Womworld must have mis-read my application as all I said I wanted to do was talk to Jasper in Taiwan when I was walking the dogs in the park, or taking the kids swimming. I don’t know how I got chosen – perhaps it’s because (as far as phones go) I’m not really very geeky, and the N900 seems very geeky indeed. Womworld have sent me a contract (does that link work for you??) – and I’m set to get the phone for the fortnight over the Eurobike show (end of August, first week of September). So HOPEFULLY I should be using it to do lots of video streaming stuff using Qik, some other video stuff, reports… who knows… certainly some more interesting stuff that I’ve had on my Qik Channel so far. So we’ll see what transpires.